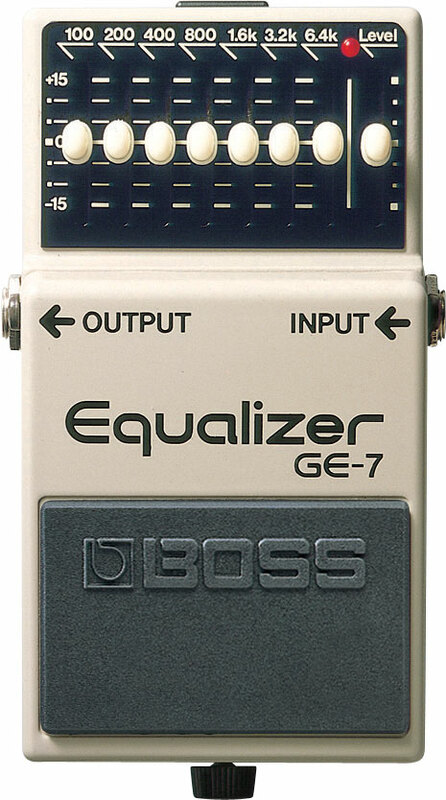 The Boss GE-7 Equalizer is an exceptionally quiet EQ with silent FET switching. 7 bands of EQ in the optimum range for guitar. Provides 15dB of either cut or boost in each selected range. We also sell one with our PRO mods. The GE-7 has seven bands ranging from 100Hz to 6.4kHz, ideal for tweaking guitar sounds, with boost/cut of +/- 15dB per band. This lets you completely control your sound and eliminate unwanted feedback, particularly when connected after a distortion effect. This is the stock version with no Analog Man mods. We also sell a version with our PRO mods for less noise and better tone. 5 year warrantee from Boss!